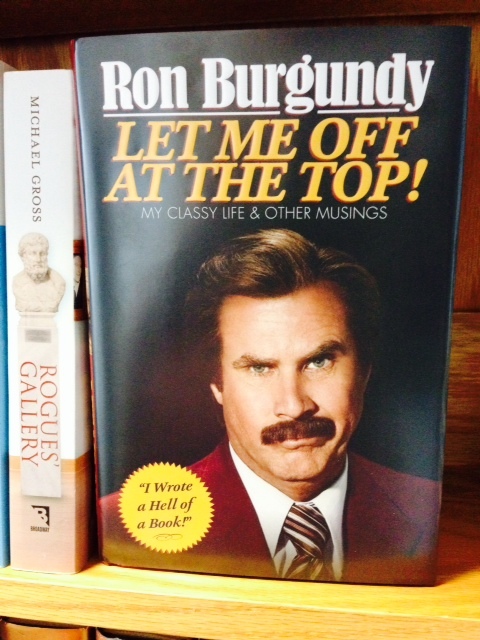 Let Me Off at the Top: My Classy Life & Other Musings, the riveting new memoir from Anchorman and Literary Legend Ron Burgundy, hits our shelves in a storm of mahogany-scented wonder this Tuesday, November 19. In the most highly anticipated book of the year, Burgundy reveals his most private thoughts, his triumphs and his disappointments. He takes us from his boyhood in a desolate Iowa coal-mining town to his years at Our Lady Queen of Chewbacca High School. Let us tell you – it’s one wild ride. Pre-order your tickets to the gun show right here and we’ll have one of these puppies waiting for you when they come out of the box Tuesday morning. 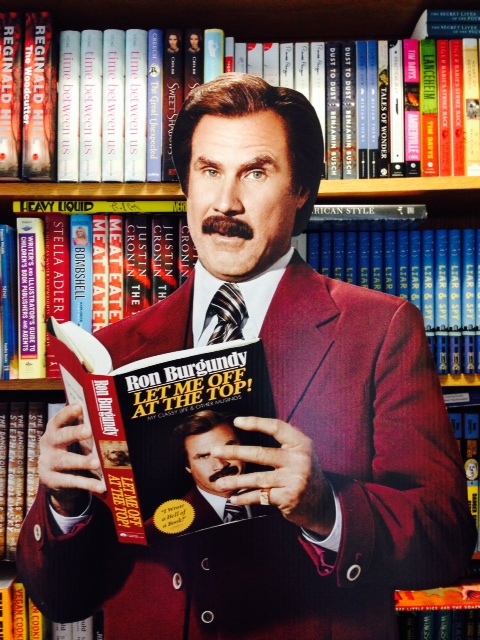 In the mean time, we’ve landed a not at all exclusive interview with the man behind the book jacket – Ron Burgundy.